On the next days I will travel from Ella to Matera. I understand there is not timetable and I would know where I have to wait the n.31 bus. Where can I get timetable from Ella to Tangalle? There doesn’t tend to be a time table… busses leave when they’re ready. hi, do you know if bus 31, on the way to bandarawela, stops in tissamaharama? Its there any bus for Talalla beach to ella? From Talalla beach how to get to Ella by bus and how frequent is the bus? That’s a fairly long journey, and might mean a couple of busses. Since Matara is one of the largest towns in the South you might find it more direct to find a bus going straight there and then get another along the coast. Please let us know how you get on! Anyone know approximate time of departure from Ella? And how long does it take to Tangalle? Busses tend to leave reasonably frequently, but not necessarily to a time-table! it will take at least three hours, probably more like four or five I guess. Where i will stand in Ella to get this bus and what time in 15th August? Is this Bus running tomorrow on 14th? If yes, when is it likely to catch one? Does this Bus drive tomorrow, 14th April 2017 (New York year holiday)? If yes, does somebody know when it will be likely to catch one? At what time does the bus depart from matara to ella? When is the last bus from Bandarawela? When departures the last bus from Hambamtota to Bandarwella? What time does this bus pick up from tangalle? I was hoping to catch it tomorrow morning! Buses tend to travel throughout the day without a fixed timetable. 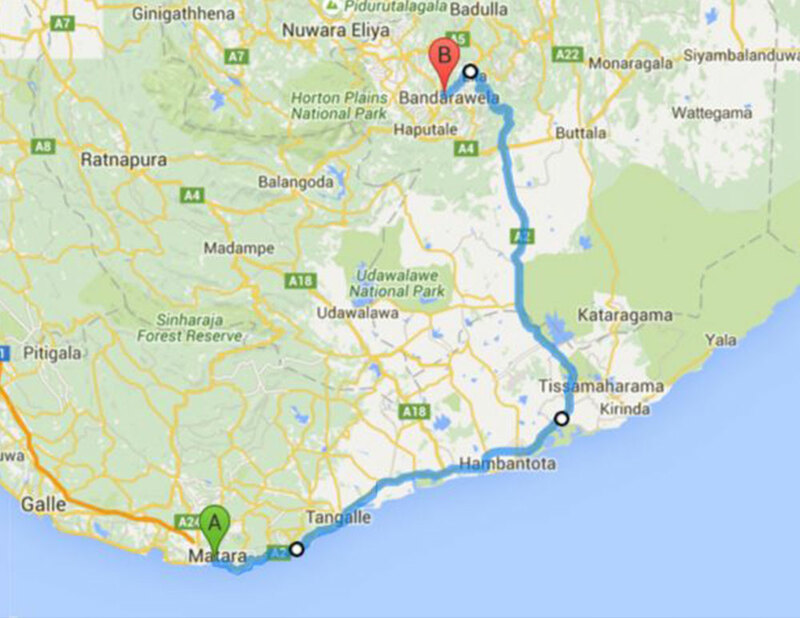 From Ella to Tangalle it takes approximately 3h.